Friday, April 21, 2017, 7 p.m.
Free for Montalvo members: Call 408-961-5849 or email Chris Wilcox to RSVP. 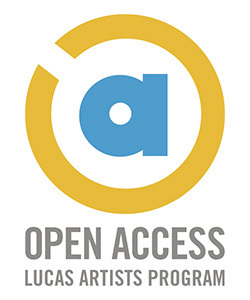 This event is presented as part of Montalvo Arts Center’s program series, Open Access—your opportunity to connect with Artists Fellows and Guest Artists at the Lucas Artists Program. This program is designed to offer audiences a behind the scenes view into how artists generate ideas, as well as showcase works in process and fully realized new work. Open Access offerings include conversations, performances, screenings, and culinary events. It also has a virtual presence as an online blog and archive. Find out more at blog.montalvoarts.org. Join us for a live taping of the Art Practical podcast (un)making, as we present a conversation between host and Lucas Artist Program (LAP) Fellow Weston Teruya and Bay Area visual artists and writers Jaime Cortez and Genevieve Quick. 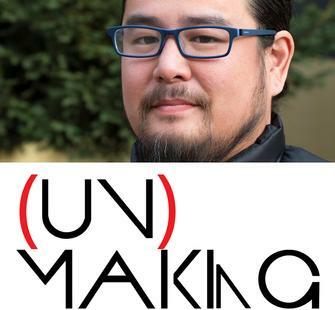 In each episode of (un)making, Teruya features discussions with artists, cultural workers, or arts administrators of color to discuss their work, their careers, and how they situate their practices in the world at large. This lively discussion with Cortez and Quick will examine their intricate creative work, complex use of narrative, and the unexpected ways their visual and writing practices inform one another. Prior to the taping, we will enjoy short presentations from composer, sound artist, and award-winning performer Hannah Hartman; and winner of the 2016 John Simmons Short Fiction Award Allegra Hyde. Both will present past work and discuss new projects under development. This event represents the “soft launch” of a nine-month partnership between Art Practical and the Lucas Artists Program at Montalvo Arts Center.